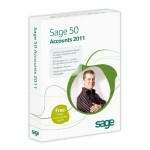 Sage Line 50 Accounts software is suitable for established small businesses, or those with their own dedicated bookkeeper with 1 – 6 users. This Sage training will enable you to install your new software, set up and configure your Sage Line 50 Accounts correctly. Our sage trainers will ensure the training is achieved by designing it around your existing business data. This ensures each delegate has specific knowledge rather than generic Sage knowledge. 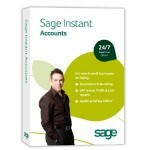 Sage Instant Accounts is best suited to owner-managers of start up and early growth businesses with 1 – 2 users. 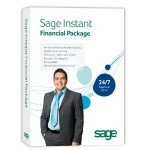 This training will enable you to install your new software, we can set it up for you and set up and configure your Sage Instant Accounts correctly. Make no mistake, Instant accounts may be the baby of the Sage software suite but it still packs a punch and has proved itself to be the best accounts software package for SME’s and start-ups. 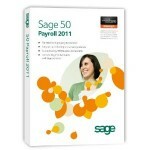 Sage Payroll training course provides a complete understanding of how to set up the Sage Payroll program, you will learn how to set up your own company preferences, absence records, employee information, job history, holiday schemes etc. Our Mix & Match programme allows you to undertake any 10 training sessions from within our above training Courses.